Le Bois de Fleuri, or “The Flower Wood”, is well named, because the luxury camping site is situated on a picturesque, wooded hillside in the Languedoc Roussillon region of southern France, near the Spanish border. Sandwiched between the mountains of the Pyrénées Orientales on one side and the Mediterranean Sea on the other, Camping Le Bois de Fleuri is the ideal location for a camping holiday. Camping Le Bois de Fleuri is a spacious campsite, occupying 15 hectares, or the equivalent of 15 football fields. 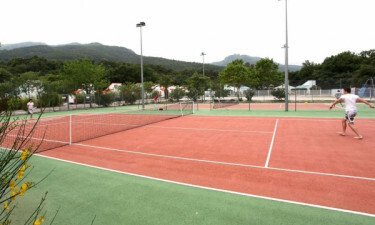 Families will particularly the so-called “Sunny Club”, which arranges activities, games and sports to suit the interest and ages of the children staying at the campsite at any one time. Book you camping holiday with LuxCamp online today. 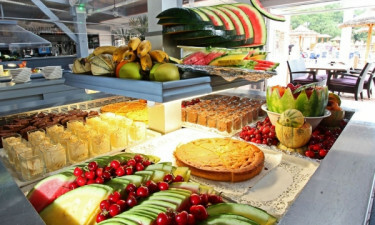 Why choose Camping Le Bois de Fleuri? 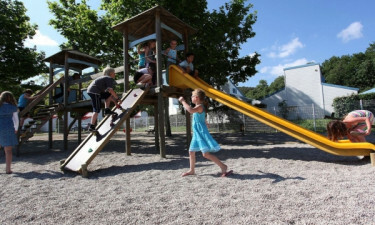 Camping Le Bois de Fleuri occupies a prestigious location for sun worshippers and nature lovers alike and includes all the facilities, such as a laundry, grocery store and supermarket, that you might expect in a luxury mobile home camping destination. Luxury camping wouldn’t be luxury camping without a swimming pool and Camping Le Bois de Fleuri offers not one, but three, heated swimming pools, maintained at 27 °C throughout the season. The swimming pools are age-specific, ranging from a paddling pool with water slides for youngsters to a larger pool for more serious swimmers. A sun terrace is also available for those who just wish to kick back and enjoy the Mediterranean sunshine. The Languedoc Roussillon coastline boasts mile after mile of golden sandy beaches, and while the beach is not directly accessible from Camping Le Bois de Fleuri, the seaside town of Argelès-sur-Mer is just over four miles away by free shuttle bus. The main beach at Argelès-sur-Mer, which holds a Blue Flag award for cleanliness and safety, is six miles long and popular with families and water sports’ enthusiasts.